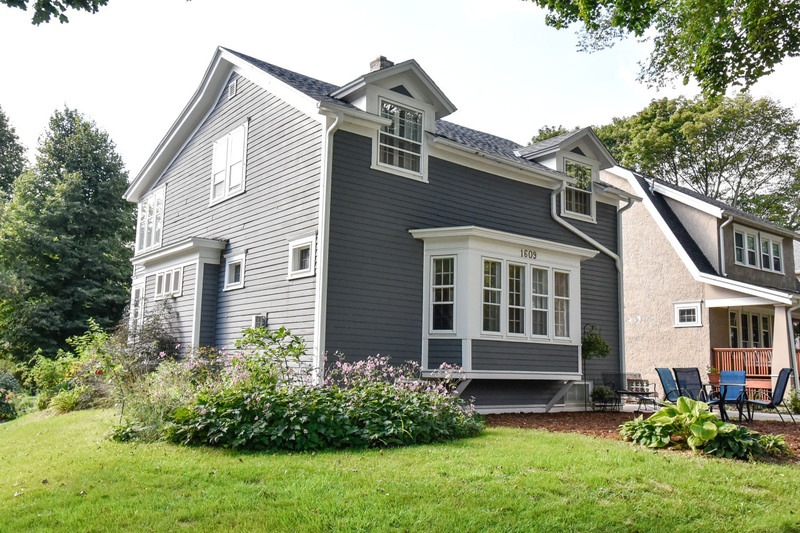 1,737 sq ft; lot: 3920 sq ft - MLS# 1605465 Courtesy of Shorewest Realtors, Inc.
Gorgeous Colonial in premier Wauwatosa location has been beautifully decorated, updated & loaded w/charm! Tosa village, restaurants, local schools, city parks & East Tosa are within easy walking distance! Spacious great rm w/gas FP & built-in bookcases. DR w/buffet & BICC. 1st flr sunrm/den/playrm; perfect multi-functional rm. Upstairs you will find 3BR. 2 large BRs & 3rd BR w/adjoining bonus rm! Remodeled bath in 2012. LL is unfinished but works well as exercise space & hang-out area. Many improvements including 2017 New Roof & Gutters, 2015 Exterior Painted, 2012 New Water Heater, Major Landscaping, & Complete Interior Repaint. Details of the home will remind you of a by-gone era; yet the updates make the home function well for today's lifestyle & the location can't be beat! !